The trio reckon Donald Glover's skit made them look like "dodo birds." In May 2018, Glover starred in a sketch rendering Migos as Friendos, which showed the trio constantly arguing. 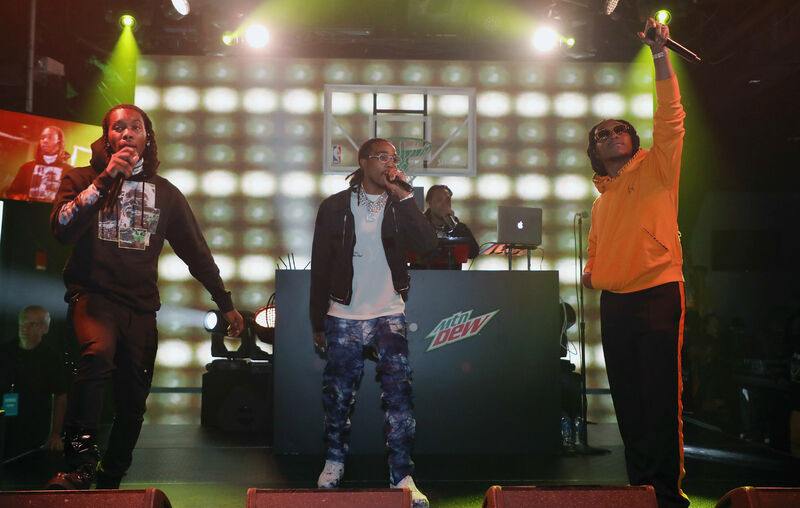 Migos and Glover have previously been tight, with Quavo making his debut in the first season of Glover's series Atlanta . 7, Glover helped give Migos mainstream exposure when he thanked them for making 'Bad And Boujee' during his acceptance speech at that year's Golden Globes ceremony. In the same interview, Offset revealed he always keeps $ 10,000 to hand "just to get through the day." 'Father Of 4' makes Offset the final Migos member to release a solo album, following Quavo's' Quavo Huncho 'last October and Takeoff's' The Last Rocket' the following month. Migos' most Recent album together was 'Culture II' in January 2018. Quavo stated that 'Culture III' would be released 'at the top of 2019' once all three dropped their solo albums. Migos play at Parklife 2019 in Manchester on June 8. Tickets can be bought here.